Fiber optic adapter is a device used to connect two fiber optic connectors together. For example, if two male fiber optic connectors are required to connect, a fiber optics powerline network adapter can be used with a female interface at both ends. Short on time? Let fiber-optic-adapter sellers contact you. Star Winkle Comm. Tech. Co., Ltd. Features High return loss Simple structure Max operation power(1W) Low wavelength relativity Low polarization related loss Area of Applications Fiber optical distributing frame Fiber optical network system High speed fiber optical transmission system CATV system Long distance DWDM system Optical add-drop multiplexers(OADM). 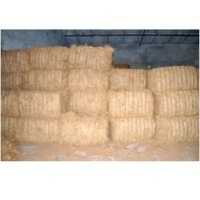 2500 pcs per carton 0.0587 cbm 14 kg. The MT-RJ uses an improved version of an industry standard RJ-45 type plug. This combination of a small form factor connector with the familiar RJ-45 latching mechanism ensures the MT-RJ connector to be the perfect choice for horizontal cabling needs to the desk-top. The MT-RJ adapter occupies approximately the same space as a simplex SC adapter. An MT-RJ Adapter with SC style housing is also available for applications where SC footprint is required. Plastic board and carton. Cixi Gst Telecom Equipment Co., Ltd.
insertion loss;SM =55dB APC>=65dB. 25pcs in a platics plate. Fiber optic adapter (flange) This kind of product is used for connecting and coupling. You can choose different models according to the union joint of optical connector. Advanced welding techniques ensure high quality and high intensity and stability. The usage range includes fiber communication network, fiber broadband access network, fiber catv and fiber instrument . Fiberoptic Focus Industrial Co., Ltd.
Shenzhen Kington Optic Co., Ltd.
Alphaplus Connectors & Cables Corp.
Shenzhen XLF Optico Communication Co., Ltd.